A sleek contemporary design of five pendants, a table lamp and a floor lamp features a subtle yet elegant brass detail. 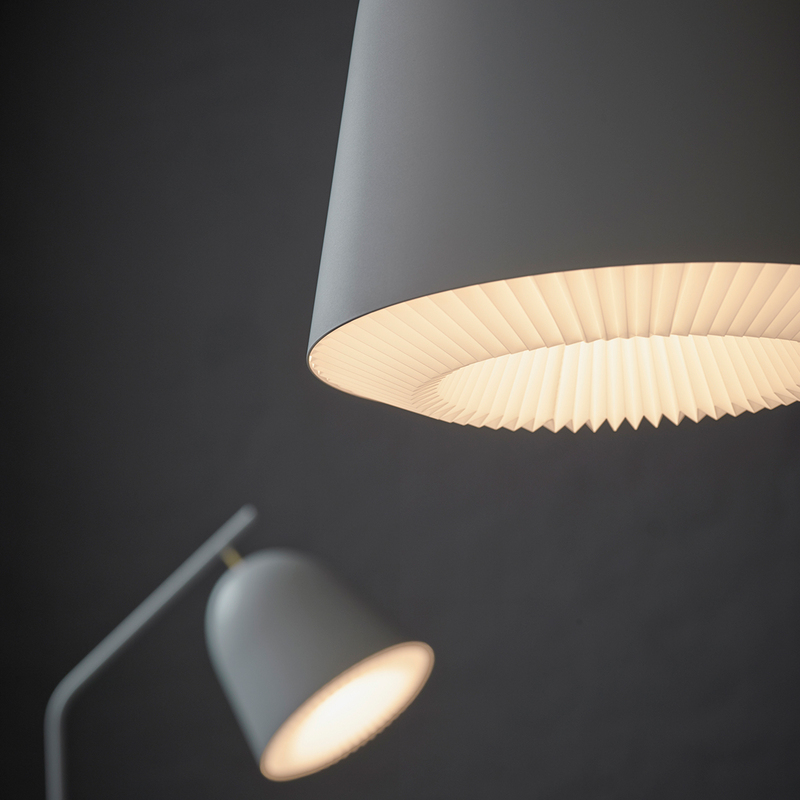 Caché in French means hidden, which is beautifully symbolized by the almost hidden hand-folded lampshade, that has been elegantly integrated to reveal the unique DNA of a classic LE KLINT lamp. All Caché lighting is LED.